The project is a robot vehicle to be precisely based on an Arduino core ( Arduino UNO) and carrying a Raspberrian independent system for memory consuming operations, and equipped with various tools for environment recon and pen-testing (GPS/ real-time positioning/live streaming, airplane radar, temperature measurement). A smart car controllable via the Internet for long distances and capable of recon current environment and providing scams or doing various networking tasks for penetration testing goals. The need for THC or the idea of the project comes from the fact that we need a remotely controllable vehicle in order to manipulate various complicated tasks, whether indoor or outdoor, without the need of one present or the need for a controller with a small range. At the time of writing of this document, there are no real attempts to adapt the THC first version to IOT. However, due to the project type which is considered to be included in robotics domain, which itself represents an awesome between software and hardware it, won’t be unexpected to grow towards IOT or evolutes in manners not Tunisian Hybrid or the writer expects. How open source and why? The THC project runs based on the mix of both an Arduino ‘Core’ and a Raspberry pi ‘independent system’. 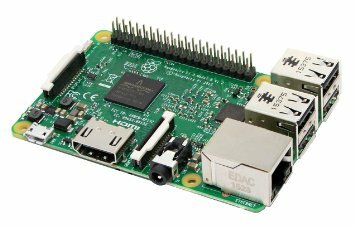 Commonly running a time-based OS in the raspberry pi and a compiled C code on the Arduino which is adopted depending on numerous factors, it is unquestionable that an open source may grant benefits to THC as it’s evolution is not going to be limited, in any manner by the team. THC is composed of a small number of parts pretty much inexpensive and affordable by any startup “rich” enough to buy a computer. Arduino core represents the brain of the THC. It controls two L293D driver boards for motor management and gets power from a 9V power source which later on in V1.1 will be replaced with a solar board. It is controllable via internet or Bluetooth, mainly by a web browser. 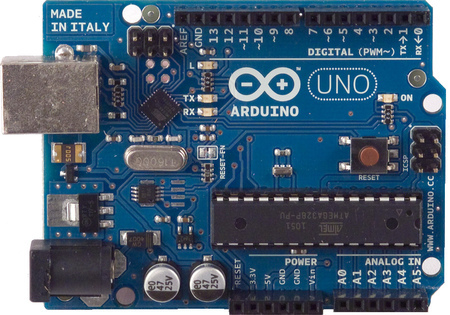 It’s coded in C language, compiled and installed on the Arduino UNO card using the « Arduino IDE ». Due to its nature, the Arduino card was chosen in this project because of its ability to be easily coded and modified in any of the project phases, its small size (credit card size) fittable in tiny sized models, and it is open-source and comes with a big amount of code libraries, and is also cheap. However, it can be replaced with any of the open-source programmable cards adaptable to this role type. Raspberrian systems represent the independent system carried on the THC. It controls the tools of the scans and pen testing an obstacles-detection. Separate from the core, it gets its power separately from another power source which later on in V1.1 will be powered with the same Arduino solar boar. It is controllable via internet using a 3G USB drive, mainly by a team-viewer-like tool or a remote terminal tool depending on the OS in use. Its code is a mix of Py, Java, C depending on the commercial software coming with tool included, all manageable by a shell (batch, bash) script in order to add efficiency in control, on which depends the OS in use. The build, or the frame, is a small-dimension car, equipped with four wheels. 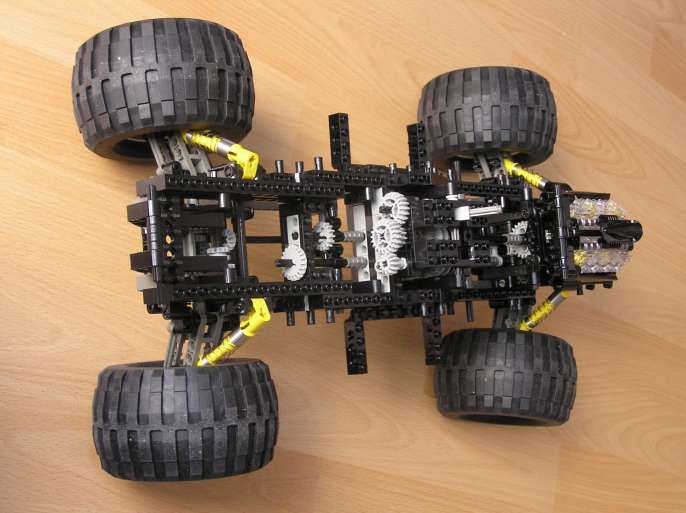 The chassis is a strong plastic made with 4 small rooms in corners. Each room is designed to fit in a DC motor with holes for cables connecting motors to wheels, and each 2 motors to an L293D drive board whose job is to assure powering motors depending on instructions provided by the core (brain). The THC also contains two levels, each carries a system and its cabling to it’s components, however, the sum of both alternate. Levels are lower than a wheel diameter, so if the vehicle flips, maintaining its movements remains possible (with reversing instruction) with no impact on the hardware of both the raspberry system and the Arduino core. P.S. It is possible to add chains in order to make obstacles bypassing more effective.